ATE 635,S645,700 Technology needs to have their head examined for mental competency! the all pertinent nodes of the digital circuit being tested. 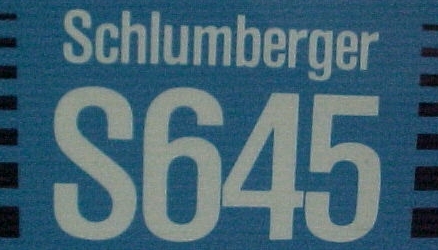 The purpose of this site is collect as much information as possible on the Schlumberger ATE 635,S645,700 systems. 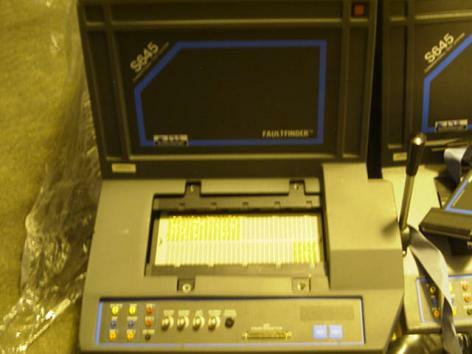 We have the XENIX Systems V operating system software and S645 software saved as Floppy ISO images. 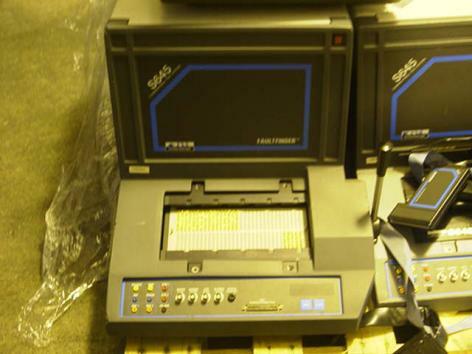 We are still looking for the users manuals, programming, and system schematics for the 635 and 645 series. We are documenting and taking pictures of all the boards in these systems. We are saving all eproms off of the boards in these systems. In the to do list is to Reverse Engineering the software and port the units to a Windows or normal Linux environment. The orginal source code would really help in this effort. 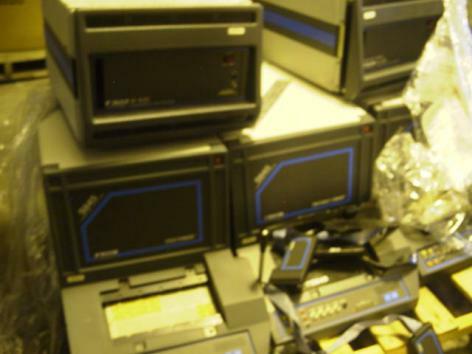 I wouldn't recommend having any units repaired using any age Schlumberger ATE since it's as old as the Atari! Dont get scammed! Ask them what equipment they use to troubleshoot your Electronic Equipment before sending in for repair. An apparatus and method for digital circuit testing in which latches store a single command for each assigned node in a circuit to be tested. Buffers are used to drive the nodes of the circuit being tested in accordance with the drive commands. The outputs from the circuit being tested are selectively applied to at least one comparator. A multiplexor reduces the number of comparators required for accessing the all pertinent nodes of the digital circuit being tested. Schlumberger Automated Test Equipment (ATE) is a division of Schlumberger Limited, a truly multinational company (52,000 employees in over 100 countries) with two primary lines of business: Oilfield Services and Measurement & Systems. 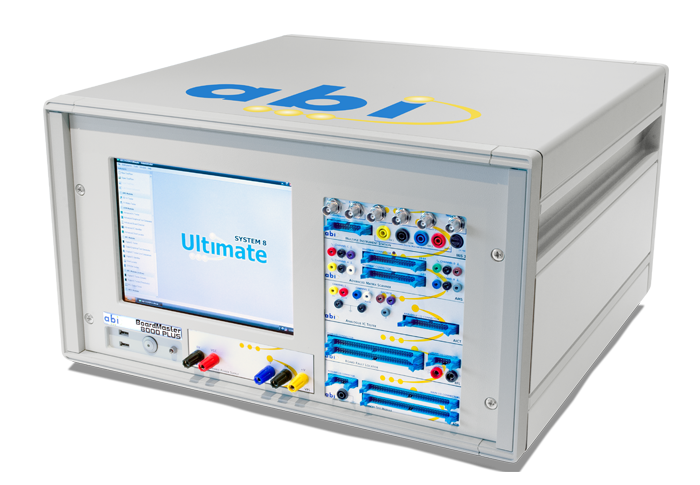 The ATE division is the industry leader in high-speed VLSI component testers, VLSI diagnostic and repair stations, board test equipment and automated systems for production testing. 1601 Technology Drive, San Jose, CA 95115, U.S.A.
* Schlumberger Ltd. sells Heath Company to Zenith Radio Corp. for US$64.5 million. * Microsoft announces the Microsoft XENIX OS, a portable and commercial version of the UNIX operating system for the Intel 8086, Zilog Z8000, Motorola M68000, and Digital Equipment PDP-11. Incorporated in 1990, EIT was founded by Jay M. Tenenbaum and three colleagues from Schlumberger Technologies. EIT is located in Menlo Park, California and offers WWW services and technologies, e.g., Secure HTTP (q.v.). In November 1995, EIT was acquired by VeriFone, Inc. and now operates as a wholly owned subsidiary, developing products for VeriFone's Internet Commerce Division. Schlumberger Automated Test Equipment (ATE) provides the world's most comprehensive systems and services for probing, repairing, testing and handling semiconductor devices. It also offers measurement systems for front-end applications, as well as equipment to test complete electronic assemblies for the telecommunications industry. NRM Test Solutions, Inc. has evolved from a company previously known as Hines and Associates, Inc. (HAI). HAI was for many years, Silicon Valleys leading independent ATE service company until it was acquired by GE Capital in December, 1996. Originally headquartered in Santa Clara, Ca., HAI was founded in 1978 by Tom Hines, who left Fairchild Systems Technology (now Schlumberger) to strike out on his own when Fairchild shied away from third-party maintenance. Tom Hines was quickly joined by three more employees of Fairchild's service organization; Tom Engels, who became its V.P. of marketing, Dan Netzley, HAI depot operations manager and Marcus Rodriguez, staff engineer. By 1996, HAI had thirty (30) employees and claimed $4 million in capital equipment at its 14,000 square foot facility, including a wide array of systems and fixtures to support LTX, Sentry, MCT, Teradyne, Xincom and Accutest testers. Its business consisted of depot support (30%), field service (30%) and used system repair and resale (40%). Almost half of its income came from outside the U.S.